Inspired by and featuring the songs of Elvis Presley. Its 1955, and into a square little town in a square little state rides a guitar-playing young man who changes everything and everyone he meets in this hip-swiveling, lip-curling musical fantasy that'll have you jumpin' out of your blue suede shoes with such classics as Heartbreak Hotel, Jailhouse Rock, and Don't Be Cruel. 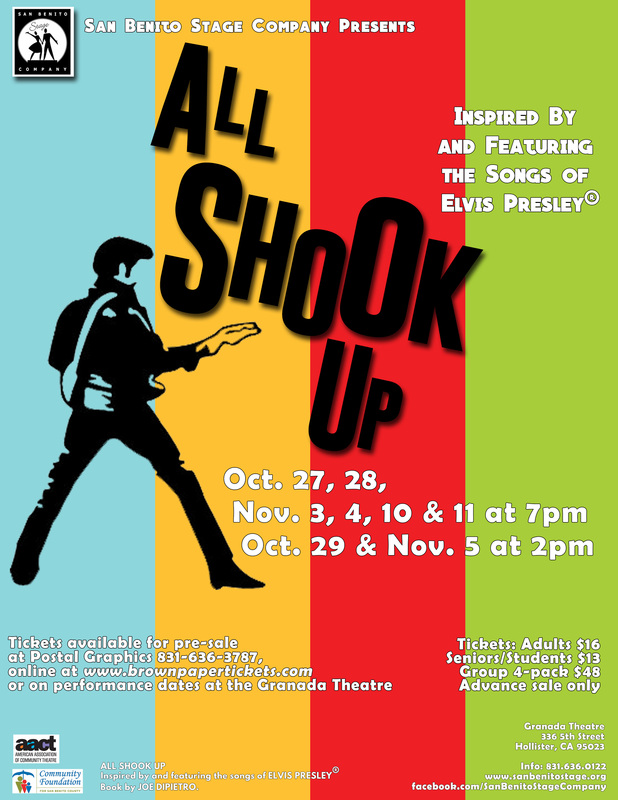 All Shook Up played at The Granada Theatre from Oct. 27, 2017 to Nov. 11, 2017.